Emory Scholars visit Washington, D.C.
Each fall, a group of Emory Scholars visit Washington, DC, to meet with members of Georgia's congressional delegation and connect with Emory alumni working in a number of fields in the nation’s capital. 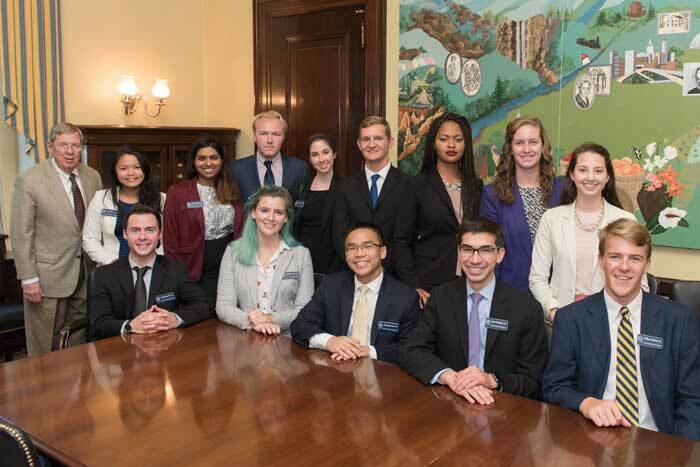 A group of 12 Emory Scholars and two Emory Nursing students traveled to Washington, DC, for the third annual Scholars Trip to DC, made possible by a collaboration between the Emory Scholars Program and Emory’s Office of Government and Community Affairs. Primarily seniors, the scholars spent their time meeting with Emory alumni working across the District in a variety of positions as well as congressional members with ties to Emory. 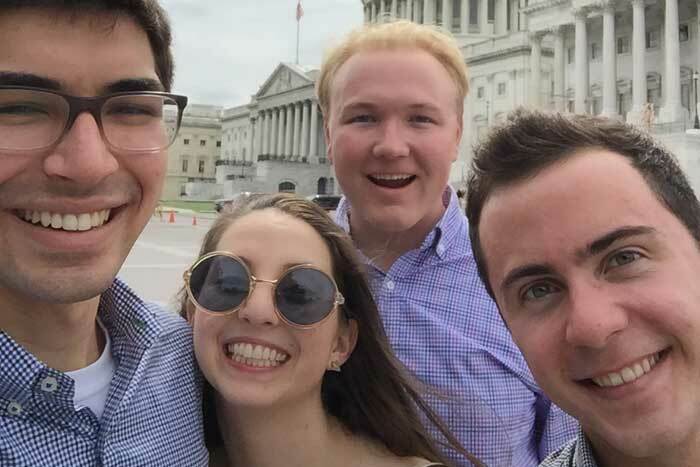 The scholars were able to get a representative sampling of the nation’s capital, from hailing cabs to attending back-to-back meetings. 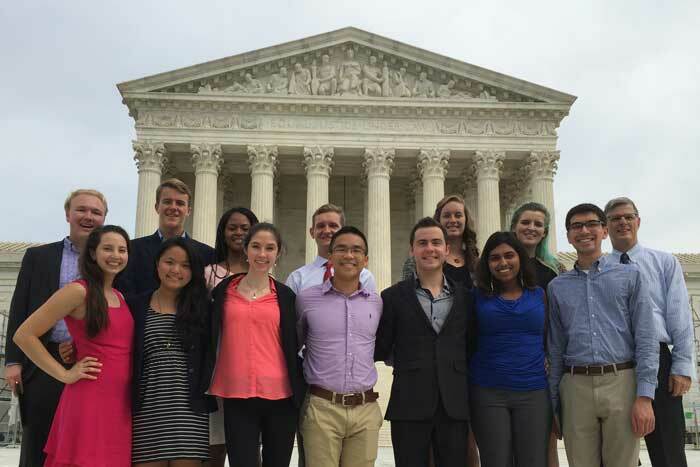 After getting an insider’s tour of the Supreme Court from an Emory alum, the students networked with a number of Community Building and Social Change Fellowship alumni before dining with Emory Law alumni. Thursday was jam-packed, with meetings at the White House and on Capitol Hill. Five Emory alumni working in the White House met with the group in the Eisenhower Executive Office Building and spoke with them about their professional paths, fielding questions related to their policy areas. After meeting with executive branch staff, the group headed across town to meet with a number of legislators and staff, meeting with Georgia Senator Johnny Isakson and lunching with four Emory alumni working for a variety of senators and representatives. 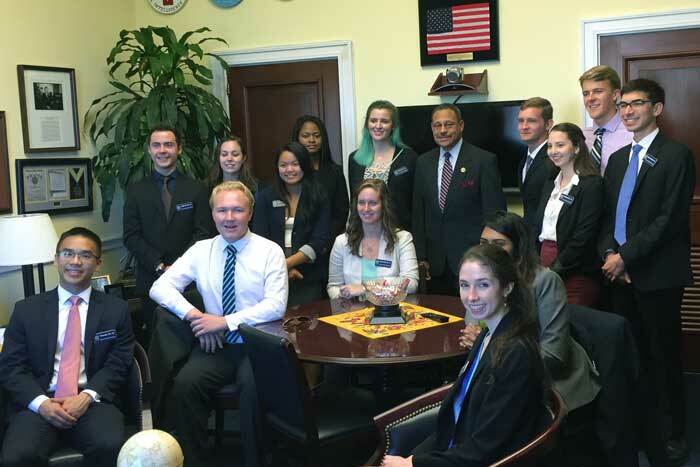 They also met with the two Georgia Senate chiefs of staff and toured the Capitol. The group watched the House vote on a number of bills from the gallery before meeting Congressman John Lewis in a room off the House floor. The scholars ended their evening with a Scholars Alumni reception, which hosted more than 20 program alumni. 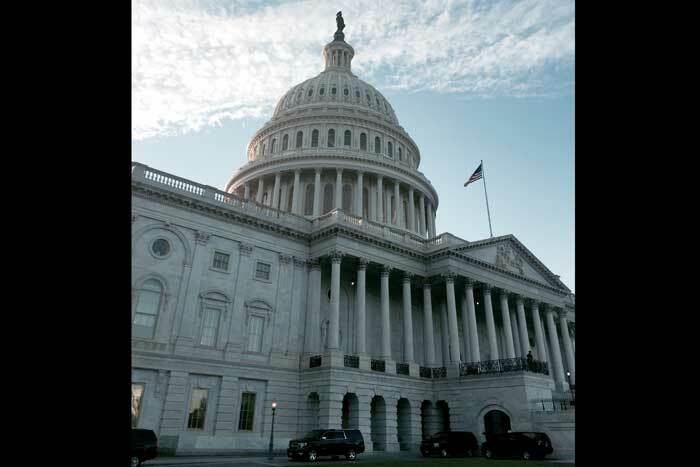 The week wrapped up with two Hill meetings with Emory alumni legislators: Congresswoman Kathy Castor of Florida and Congressman Sanford Bishop of Georgia.